As 2016 comes to a close and I reflect back on my own vegan journey over the past few years (more on this available this Fall in graphic detail in my forthcoming book, The Skeptical Vegan), I’m amazed at how many doors have been opened for me as I dig deeper and deeper into the animal rights movement. Having gone from unapologetic meat eater, to herbivore, to vegan, to ethical vegan and then evolving my business interests in the same direction, I’m excited to announce that since mid-October, I’ve been on board as full-time Marketing Director for Farm Animal Rights Movement (FARM). This 40th Anniversary video, that premiered at a New York City event this past October, says more than I could ever say about this amazing organization that was founded by Alex Hershaft. Since 1976 (started as the Vegetarian Information Service), FARM has been committed to saving farm animals through a wide-array of programs: 10 Billion Lives, Vegan Support, Fast Against Slaughter, Seasonal Days of Action, and the Animal Rights National Conference to name just a few. Started in 1981, the Animal Rights National Conference is the world’s largest and longest-running animal rights event. With 100 speakers and 60 organizations represented, the conference is open to a diverse array of viewpoints on animal liberation. Conferences are held each year, alternating between the East and West coasts and bring together over 1,500 caring people each year to network, share wisdom and learn new skills. It will be held in Alexandria in 2017 and I’m looking forward to finally attending. This opportunity working with FARM has allowed me to take my over twenty years experience in marketing and communications, and further apply it to my personal mantra: Animals are not food. As 2016 comes to an end, I would like to encourage you to support FARM moving forward. Each donation this year will be matched by a very generous donor so every dollar you give is given again toward saving more animals. Click here to give. One vegan at a time. I am now at the forefront of a world that respects and recognizes animals as sentient beings, a world that fully understands that our own environment is at risk, and a world that understands that nearly every major disease can be controlled, reversed, or cured with a plant-based diet. Being a part of the FARMily has opened more doors for me to help more animals to be free. 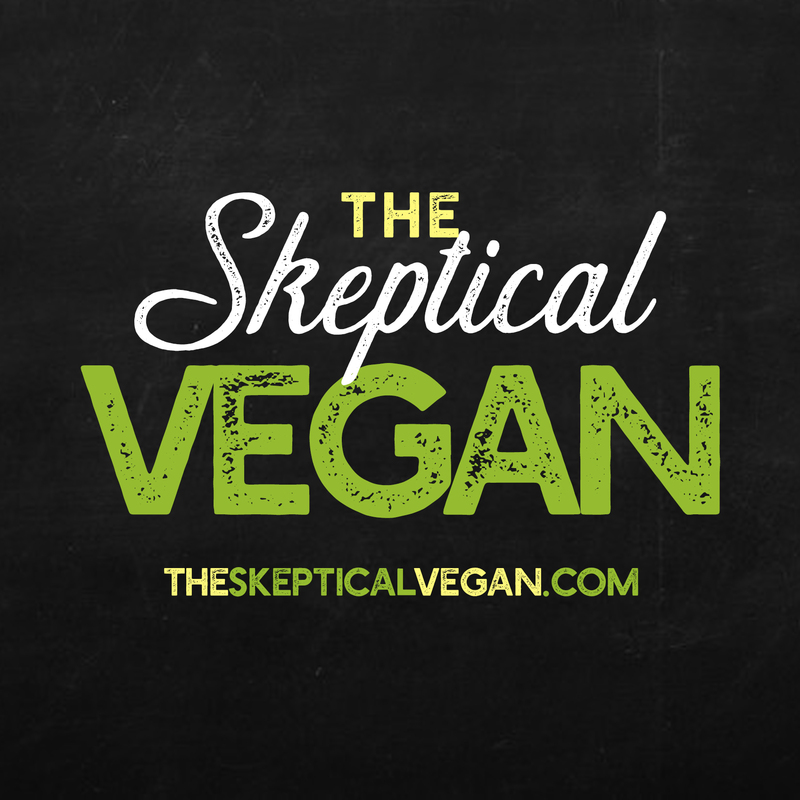 Watch for the release of The Skeptical Vegan from Skyhorse Publishing in fall 2017! Pre-order The Skeptical Vegan NOW! Available at Amazon.com and Barnes and Noble! More than 25 of my favorite meaty dishes … veganized and made simple for simple people. And smart people, too … like you!